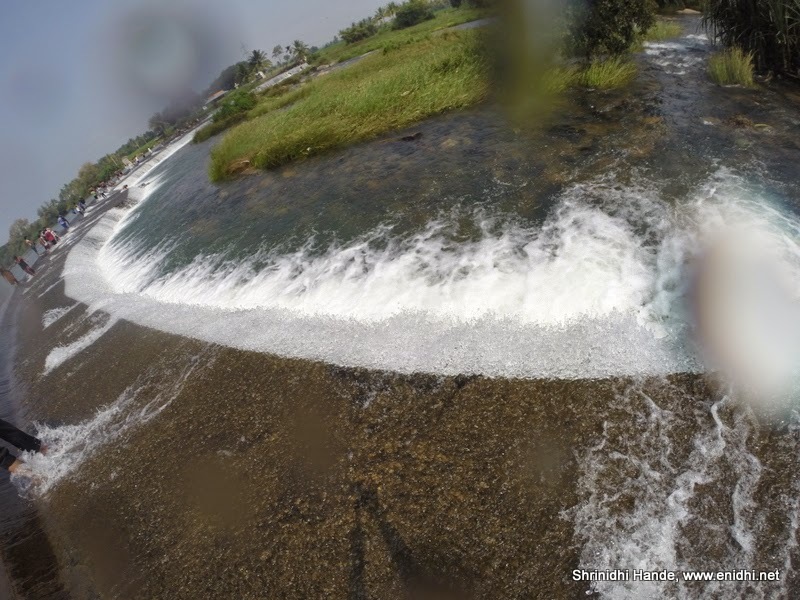 Balamuri falls is a nice place just 16 kms from Mysore town. 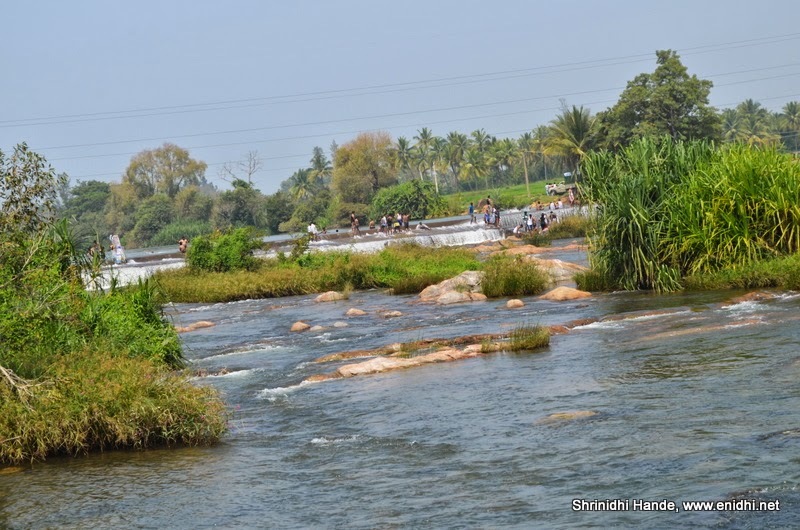 River Kaveri flows here, after passing KRS dam. 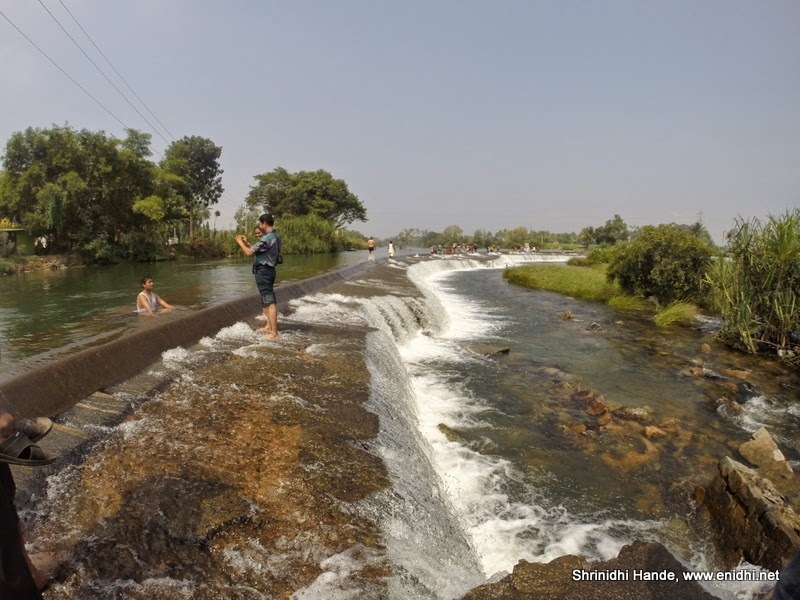 Thanks to flat and not so deep river bed, some giant rocks and artificial construction (check dam), Balamuri is an ideal place for the family to indulge in water. 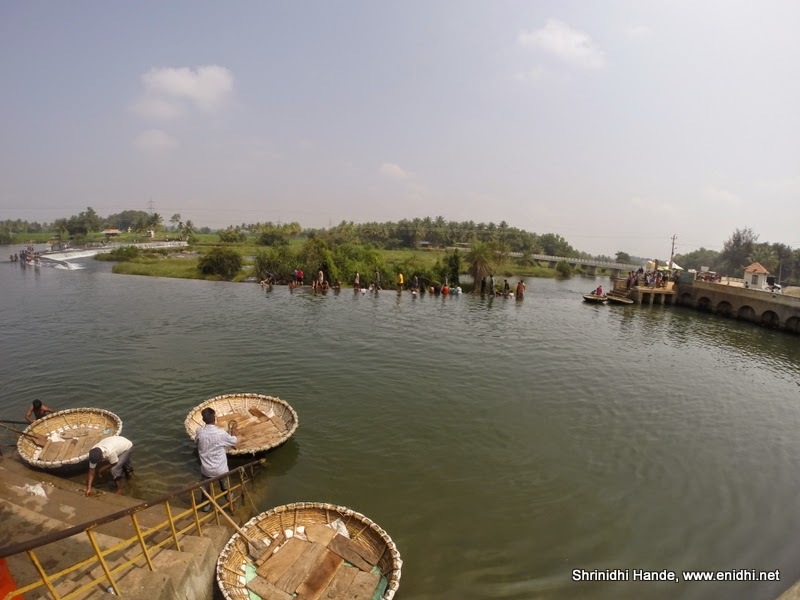 It is fun to walk across the small barricade over which water flows in full swing. Please be careful about slippery rocks or about the possibility of losing balance while walking across the check dam. Balamuri is close to KRS, worth a stop while returning from KRS. Even otherwise, it is worth a standalone visit. Basic facilities like toilets, roadside eateries etc are available. Road is decent.